Where in the world are the happiest and healthiest people? The United States is not a particularly happy country, according to a World Happiness Report issued annually by the United Nations. We're in 18th place, just above the United Kingdom, but behind all the Scandinavian countries, Costa Rica, Canada and Australia, among others. The UN report based its happiness rankings on data about income, healthy life expectancy, social support, freedom, trust, and generosity. 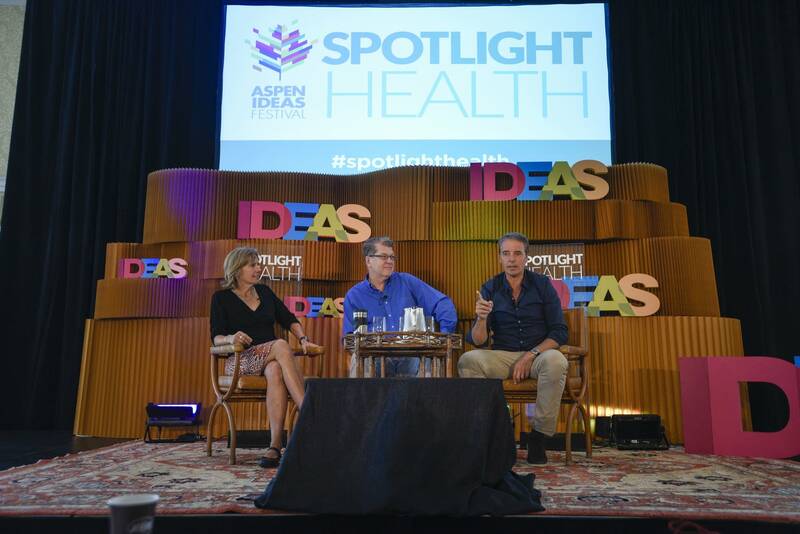 Minnesota native Dan Buettner has made it his mission to study the science of happiness and he shared his research about "Blue Zones" at this summer's Aspen Ideas Festival in Colorado. He says you can't exactly measure "happiness," but you can measure "life satisfaction." Buettner asks people to answer the question, "when you think of your life as a whole, how satisfied are you with your life?" Another measurement of happiness, Buettner says, is purpose. "How often do you get to use your strengths to do what you do best every day?" Suzanne Jones, the mayor of Boulder, Colorado joined him on the panel, which was moderated by Steve Clemons, Washington editor at The Atlantic. The session was held June 23, 2018 in Aspen, Colorado.